Adding your contact information as a Signature to your emails is very useful in a corporate environment, but also for personal emails as well. 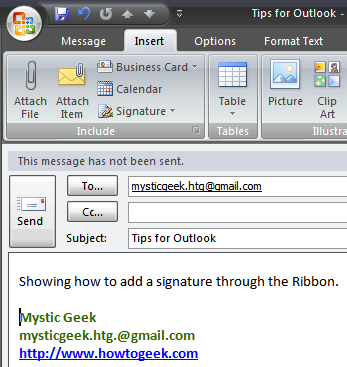 You can add a signature the same way as you would in 2003, but you can also use The Ribbon as a new way to add your signature. 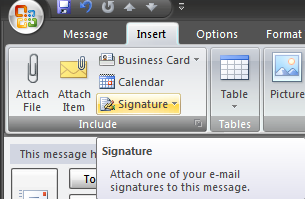 Open up Outlook 2007 and click on New to compose a new message, then click on the Insert tab on the Ribbon and choose Signature. 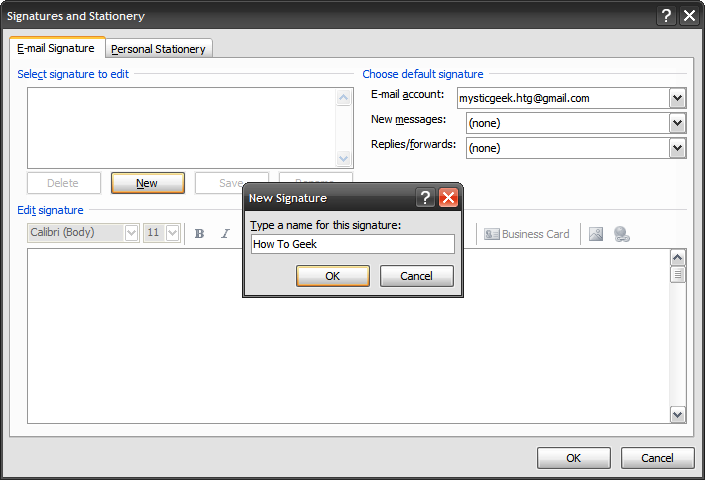 Click on the New button on the Signatures and Stationery screen, type in a name for your signature then click OK.
Now use the Edit signature box to compose your signature. You can change the colors, fonts, etc. 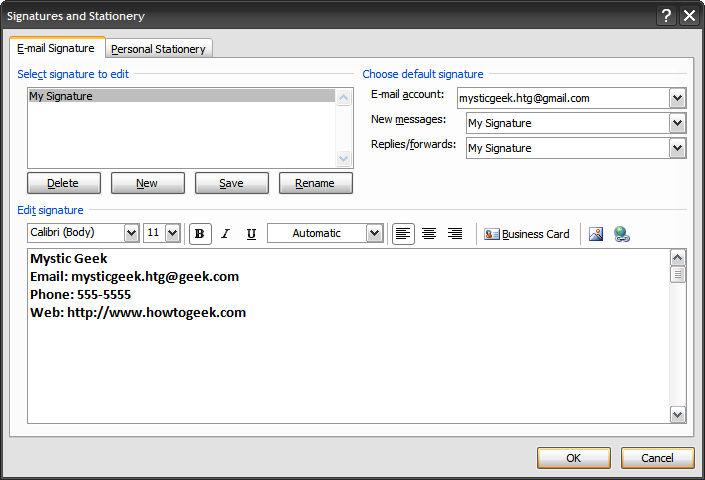 You can use the “Choose default signature” section to choose a specific signature for different email accounts, if you have more than one account. When you are done click OK to proceed. 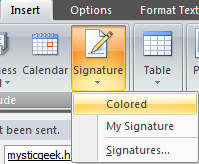 Now go back to the message you want to compose and choose which signature you wish to use. Your selected signature will now appear. The great thing about this feature is you can have a custom signature for every person in your contact list if you want, and easily pop it into your message!